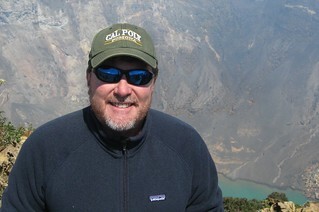 Jeff Marshall is a Professor of Geology and Campus Coordinator for Undergraduate Research at Cal Poly Pomona University. Jeff Marshall is a geomorphologist with research and teaching expertise in neotectonics, geologic hazards, coastal processes, river dynamics, and watershed restoration. He routinely engages undergraduate students in his field research in California and Central America. Dr. Marshall’s primary research focus is the study of landscape response to active tectonics, climate change, and base level fluctuations. His current research investigates the morphotectonics and earthquake hazards of the northern Costa Rica convergent margin in Central America, and the geomorphology of faulted alluvial fan gravels along frontal thrusts of the San Gabriel Mountains in southern California. Dr. Marshall studied geology and earth surface processes at UC Santa Barbara (BS), UC Santa Cruz (MS), and Penn State (PhD). He has been a faculty member at Cal Poly Pomona since 2001 and currently serves as University Coordinator for Undergraduate Research. He is a three-term CUR Geosciences Councilor and founding member of Cal Poly Pomona’s Undergraduate Research Faculty Working Group. Dr. Marshall recently published a manuscript on international undergraduate research in a Geological Society of America special volume on geosciences field education. In addition to serving as a CUR Councilor, Dr. Marshall has engaged in leadership related to undergraduate research with the Keck Geology Consortium, National Science Foundation, On the Cutting Edge Program, and Society for the Advancement of Chicanos and Native Americans in Science (SACNAS). He is currently a member of the NSF GeoPRISMS Education Advisory Committee.